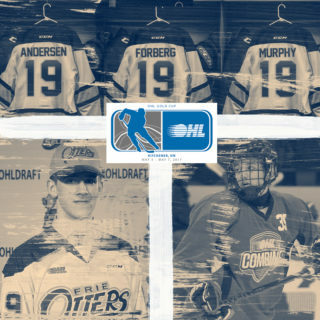 Erie, Pennsylvania – Erie Otters General Manager Dave Brown announced today that the team has received commitment from Noah Battaglia, Daniel D’Amato, Marcus Gillard, and Brendan Sellan, who all agreed to Ontario Hockey League standard player agreements. Battaglia, a 6-foot, 177-pound goaltender, comes to Erie as a free agent invite to the team’s 2018 training camp. 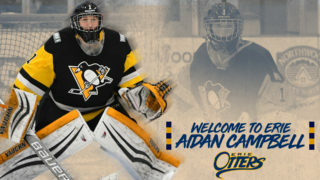 The 18-year-old appeared in 32 games for the OJHL’s Milton Icehawks in 2017-18, where he led the league in saves with 1193 and posted a .900 save percentage and 4.44 goals against average. Battaglia was also selected to Canada East for the 2017 World Junior A Challenge in Truro, Nova Scotia. 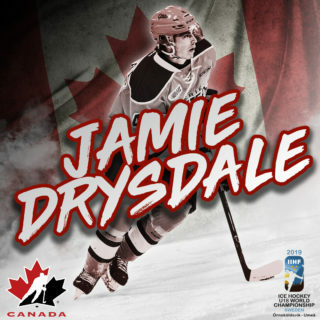 The Toronto, Ontario native was named Rookie of the Year for the GMHL’s South Division while a member of the Toronto Predators in 2016-17. D’Amato is the first player commitment Erie has received from a member of their U-18 OHL Priority Selection classes since the drafts inception in 2017. The 6-foot-1, 154-pound forward spent last season with the Vaughan Kings of the GTHL. The 17-year-old hails from Maple, Ontario. 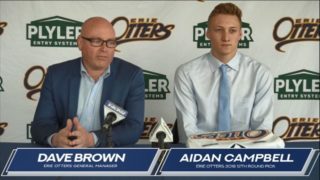 Gillard, a 6-foot-2, 185-pound defenseman, was originally selected by the Otters 260th overall in the 13th round of the 2017 OHL Priority Selection. 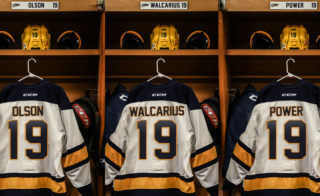 The Welland, Ontario native suited up for the Niagara North Stars in the SCTA in 2017-18 and also played for the Welland Jr. Canadians in the GOJHL where the 16-year-old recorded an assist in seven games. Sellan was taken with Erie’s second pick of the 2017 OHL Priority Selection, 100th overall in the fifth round. The 17-year-old spent last season with the Mississauga Rebels of the GTHL. During his OHL draft year, Sellan, a 5-foot-9, 169-pound forward, led his Vaughan Kings team in scoring at the 2017 OHL Cup with 6 points (1G-5A), tied for 9th in scoring at the tournament, and helped the team to a semi-final appearance.